Experience the fun of fishing! Find out what's happening with the bite on Lake Fork. Check out this great deal. 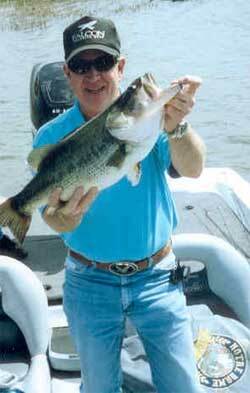 Lake Fork is known for it's great bass fishing, producing the largest largemouth bass caught in Texas waters. Let Lake Fork Guide Jim Reaneau guide you to some of the most fun and productive fishing in the USA. Dedicated to his profession, he has helped many beginner anglers have a great day of fishing on Lake Fork. He has also helped many expert anglers to produce their Lake Fork goal of that trophy bass dream. 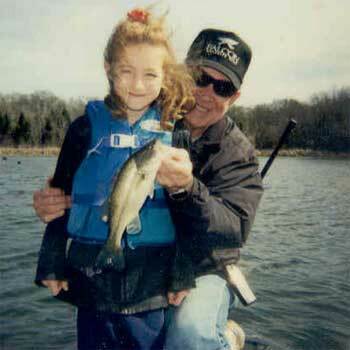 In addition, Jim offers crappie fishing trips. Book your Lake Fork fishing excursion with Jim today, be it an individual, a family vacation or corporate outing, he can help with all the details. From Beginner to Expert... all efforts are made for the most fun and productive day possible! first bass. Linsay has returned to fish with Jim. Bill caught this Lake Fork bass weighing 11.5 Cora caught this 8.5 lb. Supporting Lake Fork by fishing artificial lures only. Book Your Lake Fork Trip with Jim Reaneau Today!